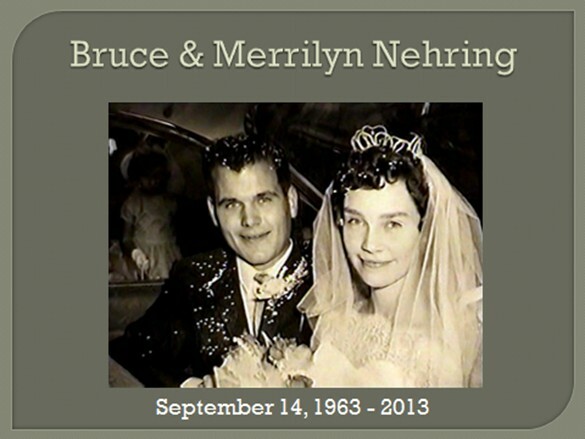 Evan Nehring: Happy 50th, Mom and Dad! Happy 50th, Mom and Dad! 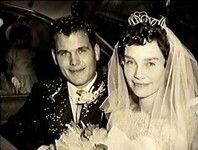 Happy 50th Anniversary, Mom and Dad! I'll be reminiscing across the miles tomorrow. Love you both and so thankful God gave you each other. This is the week! Col and I go to our jobs today and then we pack tonight for a five day Canada cruise. It's anniversary celebration weekend! Evan: Please wish your parents a very happy 50th wedding anniversary from me. I doubt your dad would even remember me, but it is a real achievement to be with your life's partner for 50 years, and for that, congratulations are in order!